This banner is perfect to use to promote your discount of your shop. 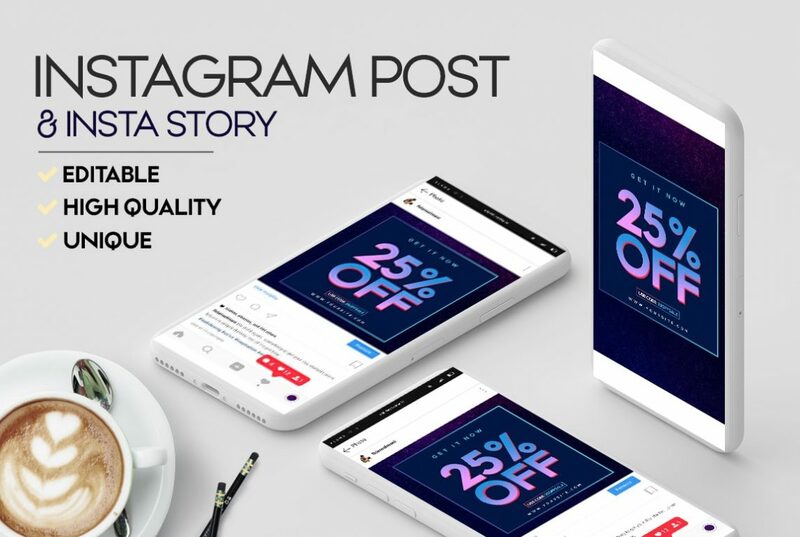 In main file you will receive the size for Instagram banner and Insta Story. Note: This design is created by pixelsdesign team. If you will share this design in your blog to download, you must link back to our page.